Modus Games have released a new launch trailer for their upcoming game Degrees Of Separation. The game will be releasing on Switch, PS4 and Xbox One on Valentine’s Day for $19.99. Will you conquer the divide and reunite the two protagonists? You can check out the trailer below. Warning! It gave me goosebumps just watching it. With one protagonist wielding the forces of heat and the other manipulating cold, players will work together with a partner or friend (or even go solo, controlling both protagonists in tandem) to overcome puzzling obstacles while exploring a lush fantasy world. Can two opposing forces truly coexist and grow closer with such polarity between them? 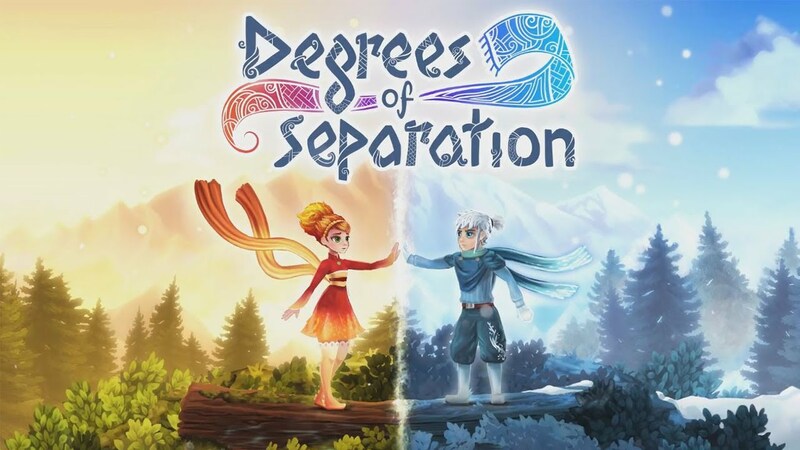 Each of Degrees of Separation’s worlds explores a different stage of a budding relationship – ranging from trust to anger – incorporating varying emotions and gameplay mechanics that change how players must approach each area they traverse. From the ability to create explosions of opposing energy, to constructing platforms with the converging forces flowing between them. Dual protagonists Ember and Rime must find ways to work together in order to progress.